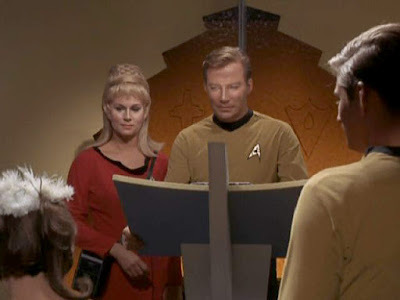 John Kenneth Muir's Reflections on Cult Movies and Classic TV: Star Trek Week 2018: "Balance of Terror"
As Captain Kirk (William Shatner) officiates at a wedding of two young officers -- Lt. Robert Tomlinson (Stephen Mines) and Ensign Angela Martine (Barbara Baldavin) -- he also monitors a dangerous situation developing in the neutral zone separating the Federation from the Romulan Star Empire. Specifically, two Federation outposts monitoring the zone have gone suspiciously quiescent, and a third, Outpost 4, reports coming under heavy attack by an invisible enemy. The Enterprise arrives too late to save Outpost 4, but catches sight of an enemy vessel nearby; one with the ability to “cloak” and vanish from sight. Its weakness, however, is that it must become visible to fire its deadly plasma weapon. Although the Earth-Romulan War is a century in the past, old race hatreds persist -- even aboard the Enterprise -- in the form of a bigoted helmsman, Stiles (Paul Comi). When the Enterprise learns that the Romulans are an off-shoot of the Vulcan race, he immediately suspects that Mr. Spock (Leonard Nimoy) is a spy, or a traitor. Captain Kirk soon recognizes the fact that he must destroy the invisible Romulan starship while it is still traveling on the Federation side of the Neutral Zone, so no question can be raised about who was the aggressor in this conflict. Meanwhile aboard the Romulan vessel, a war-weary commander (Mark Lenard) similarly realizes he must defeat the Enterprise if his crew is ever again to see the stars of home. 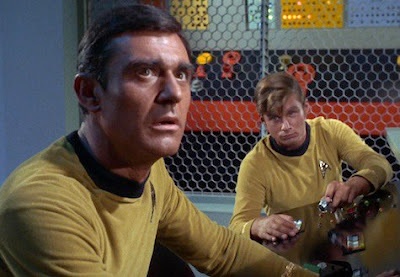 I must read like a broken record in reporting this assessment, but “Balance of Terror” is another all-time classic Star Trek episode, and likely one of the ten best stories of the entire series. “Balance of Terror” overcomes its obvious transplant of tropes from The Enemy Below (1957) -- a movie about a destroyer battling a submarine in World War II -- to forge a powerful statement about the futility of war. This Trek episode also brilliantly portrays its dueling commanders; men who are on opposite sides in a conflict, yet -- ironically -- share the same values. They are part of the universal brotherhood of soldiers, one might conclude. Again, this depiction fits in well with the strong anti-war theme of Paul Schneider’s teleplay. In a universe without war, race hatred, territoriality and political gamesmanship, Kirk and the Romulan Commander might be “friends,” since they are clearly two-of-a-kind. But in this universe, they are separated by their devotion to opposing governments and their martial philosophies. Beyond these matters, “Balance of Terror” establishes a gigantic chunk of Star Trek continuity. This story introduces us to the Romulans, cloaking devices, the concept of a space neutral zone, and more. It creates, in fact, a whole lexicon and approach to battle strategy in space. Virtually every Star Trek episode or movie featuring two starships in tactical opposition owes something to the battle that is (splendidly) depicted here, including the “grudging” respect Kirk and opposite number afford one another in such combat scenarios (think Khan vs. Kirk; Kruge vs. Kirk, or even Chang vs. Kirk). It is true, however, that the key genetic element of this episode is very clearly The Enemy Below. In this film from the fifties, a destroyer captain, Murrell (Robert Mitchum) tangles with a German U-Boat commanded by Captain Stolberg (Curt Jurgens). In both cases, the so-called “enemy” commander may be described as war-weary and lacks faith or trust in his command structure back home (Nazis or the Praetor). Secondly, the closing gambit to the engagement in both cases involves an attempt to draw in an enemy by appearing disabled. In The Enemy Below, Murrell orders fires to be started on the deck of the destroyer, the Haynes, so that the vessel looks hopelessly damaged. In “Balance of Terror” Kirk orders the Enterprise powered down, and lets her drift off-course, to create the convincing illusion that she is dead in space. 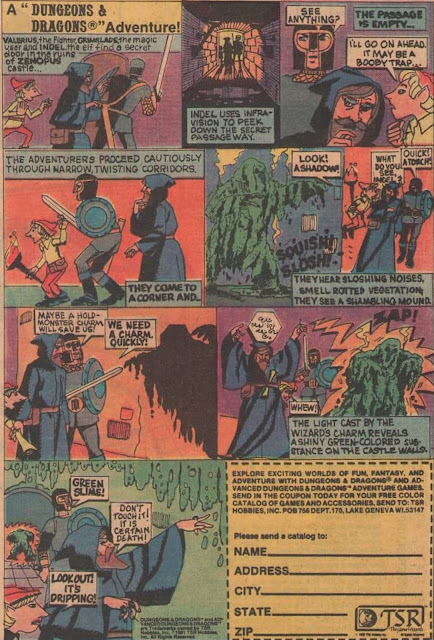 Some viewers have also detected elements of Run Silent, Run Deep (1958) in “Balance of Terror,” particularly in the scenes involving Stiles (a prejudiced crew man) and the scene in which the Romulans dump their debris as a ruse. If one considers both sources as playing an important role, then “Balance of Terror” could actually be viewed more as a pastiche -- an accumulation of submarine movie tropes -- than as mere imitator. The transfer of the venue to the final frontier, however, makes the story appear original and fresh. Even while pinpointing its inspirations, one can see how “Balance of Terror” travels well beyond them to offer Star Trekkian philosophy and comment on humanity. Specifically, the episode features book-end scenes in the Enterprise chapel. In the first scene, Angela and Tomlinson are celebrating life, preparing to be married (with Kirk officiating as chaplain). In the final scene, Tomlinson is dead, and Angela returns to the chapel in mourning. Again, Kirk must act as a chaplain, but this time to comfort Angela, and help her through her grief and mourning. Importantly, the episode features a remarkable turn of events in its denouement. In some fashion, Angela actually comforts Kirk, telling him that she will be all right. This flipping of the roles is necessary, because it is clear that Kirk feels terrible guilt over what has occurred; over a battle that he won, but which ultimately cost crew-members their lives. In losing these crew-members, and wondering about the real purpose of the battle, in human terms, Kirk actually takes a step towards becoming more war-weary...just like the foe he just vanquished. This is very much the anti-war theme that I mentioned above. What we see in “Balance of Terror” is that young people, inevitably, are the ones who suffer during the prosecution of a war. Tomlinson had hopes and dreams, as did Angela. The future they imagined for themselves are not to be. 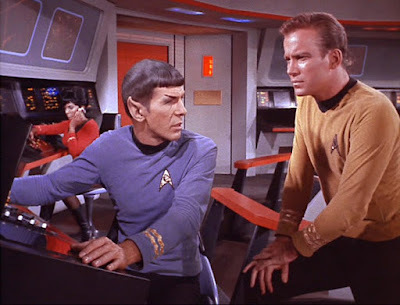 One may argue all day about the necessity of strength and resolve in a war-situation like the one featured in “Balance of Terror.” But the simple fact is that the party is paid for with the Enterprise’s dearest “blood,” to paraphrase Kirk in The Search for Spock (1984). Consider that, as “Balance of Terror” aired in mid-December of 1966, 184,000+ U.S. servicemen were fighting in the Vietnam War. Just a dozen days after the episode aired for the first time, another 382,000 American men were sent to fight it. The reasons for that war, as is the case in “Balance of Terror,” are matters of state and politics. Not letting an enemy sense weakness; not allowing an opposing ideology get a foothold. These are all tactical decisions of a State that wishes to assert dominance and remain pre-eminent. Through the Martine/Tomlinson subplot, Star Trek makes plain that victory in war, while preferable to defeat, is not without heavy human costs. And the young --- those with the most to lose -- are the ones that bear that cost the most. Ironically, they are probably the ones who care least about politics, brinkmanship, and so forth. Hate only leads to more war. Stiles is quite clearly living in the past, carrying the hatreds of a war he was not even alive to see. Yet his family has passed that intense hate forward, like a family heirloom, so that he is able to contemplate the idea of Romulans only as monsters and villains. The episode balances Stiles' two-dimensional hatred of the enemy with the three-dimensional portrayal of the Romulan commander. He is not a monster. He is not a cliche. He is a thoughtful person and an accomplished starship commander. Mark Lenard is extraordinary in this role, and we sympathize with the character's plight. Like Captain Kirk, the Romulan Commander he is a creature of duty, and a man ensconced in a hierarchy. He has given his career, his life, to this hierarchy. And yet he knows too well the cost of war, and that there is nothing ennobling about the endeavor. Where Stiles is hungry to take the fight to Romulans, the Romulan Commander sees war only as an ugly duty, a necessity that he hates.He can game it all out, to the last move, and all he sees in war is death and more death. Stiles also shows prejudice towards Spock simply because our favorite half-Vulcan resembles the enemy. In this case, one might assert Spock stands in for a Japanese-American soldier in World War II, one who isn’t trusted by his peers not because of his actions, but because of his appearance. That appearance is enough to make some bigots worry that he sympathizes more with the enemy than he does with his own countrymen. Stereotyping occurs when people fail to see the individual, and see only skin color, or pointed ears. That is how Stiles views Spock. 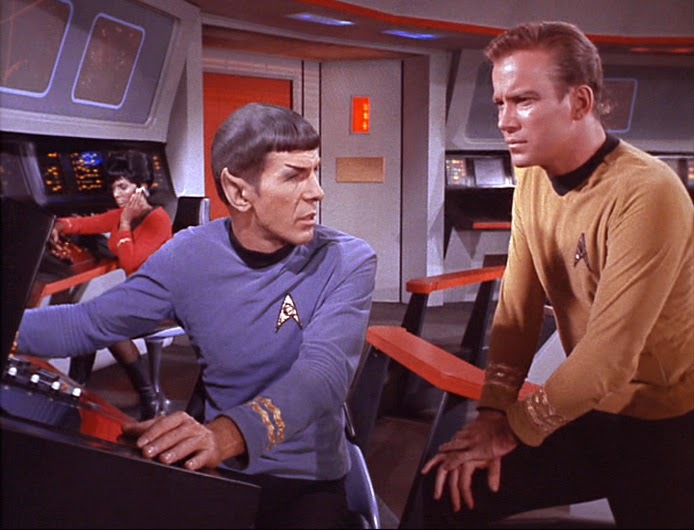 In “Balance of Terror,” Stiles learns that he is wrong, after Spock saves his life in the phaser control room. But again, the overall message seems to be that war encourages racism, division, aggression, suspicion and irrational emotions. We're supposed to not just want to defeat those who oppose us, but actually hate them and see them, somehow, as savages or sub-humans. 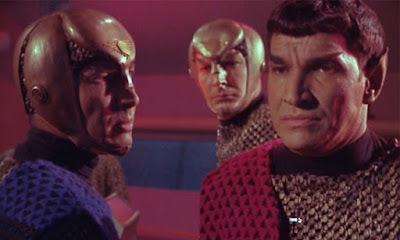 “Balance of Terror” introduces us to the Romulans, who re-appear in the original series in “The Deadly Years” and “The Enterprise Incident,” and who have been a mainstay of the franchise ever since. The neutral zone concept has been exported not just to the Romulans, but the Klingons as well, in productions such as The Wrath of Khan (1982). The cloaking device, similarly, has been responsible for some of the most provocative Star Trek stories in series history, and it too falls into the hands of the Klingons. Even the concept of a spaceship “Bird of Prey” re-appears. But perhaps the area wherein “Balance of Terror” succeeds most admirably and achieves its longevity is in its depiction of one character: Kirk. He is truly, a man alone, making decisions that could cost lives, and plunge the galaxy into a bloody war. Kirk must carry that tremendous weight on his shoulders, and “Balance of Terror” shows him agonizing over it. McCoy’s advice to him is good: don’t destroy the one named Kirk. In other words, Kirk must not allow himself to be overcome by the gravity of the situation, or the hypothetical outcomes of each and every choice. He must function -- and function at his highest ability -- no matter the cost. Kirk also grows as a character, intriguingly, because of the episode’s three-dimensional depiction of the Romulan. 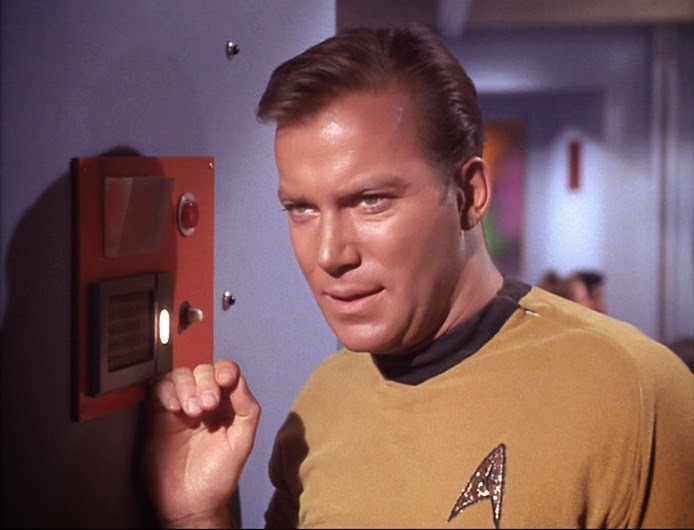 The Commander gets to voice some things that a “hero” can’t, but which Kirk must nonetheless feel as the commanding officer of a starship. This "enemy" gets to showcase the same characteristics (such as devotion to duty), but simultaneously transmits as older, and more war-weary than his counterpart. He may not be a precise mirror for Kirk, but a mirror for what Kirk could very well become in twenty years. “Balance of Terror” -- an anti-war story -- is tense and suspenseful throughout its run. Although it showcases the cost of war, at the same time it creates a whole “universe” of believable space combat "rules." For example, the episode showcases how starship commanders can use the environment of nearby space (like passing comets) to seek strategic advantage, for instance, and is very much a cat-and-mouse kind of hunt. Each commander comes up with dynamic resolutions as they try to save their ship and carry the day. Kirk’s ship plays dead, for example, and the Romulan ship launches debris (with a nuclear device in it) to trap the Enterprise. This brand of space strategy is a core conceit of all generations of Star Trek.